Southern Born and Southern RED. 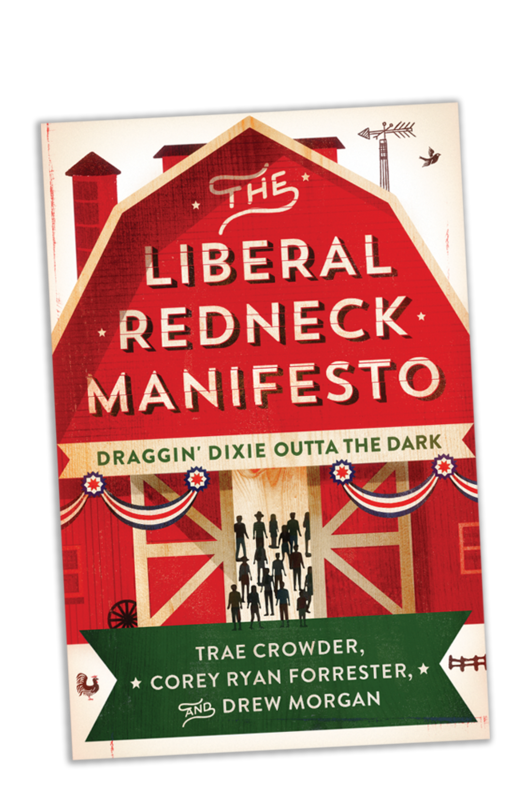 Stand-up comedy and writing partners, Trae Crowder, Drew Morgan and Corey Ryan Forrester are touring nationally in support of their book, Liberal Redneck Manifesto: Draggin Dixie Outta the Dark. Being wellRED is about celebrating all that’s good about the South while leading the Redneck Revolution and standing proudly blue in a sea of red.